It’s another fairly slow week in world chess, so I feel I’ll have to report on something that is sort of chess, and sort of not chess. 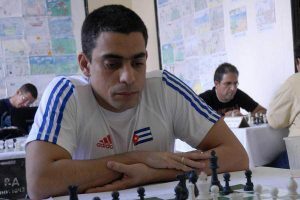 Plus I will also wrap up the St. Louis Norm Congress and show an interesting game form the Cuban Championship. 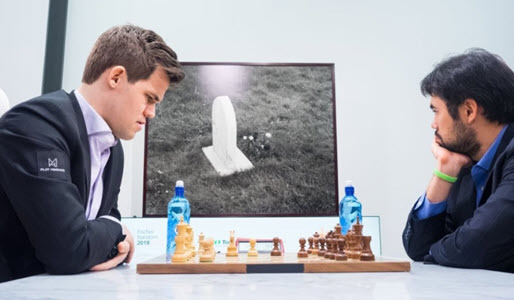 Magnus Carlsen and Hikaru Nakamura met in Norway for the unofficial World Championship of Chess960, also known as Fischer Random, after the ex-World Champion, who was a great advocate of this chess variant. It differs from standard chess is that the pieces are arrayed on the back rank in a randomly selected fashion, with each game having its unique starting position. Some see it as a purer test of over-the-board chess skill, as opening knowledge is taken out of the equation. Personally, I find it a bit head-spinning because the early positions are so weird and highly tactical, and the positions only start to make sense after several moves. So I am going to pick up one in the middle, namely game four of the rapid portion, which features a little tactical skirmish followed by some interesting endgame play. Carlsen won the match, which consisted of a rapid and blitz portion, 14-10. They did not use increment, which led to one comical game where Carlsen flagged having a rook and bishop against a rook. I don’t know if world interest was as high as the organizers had hoped. Beauty is in the eye of the beholder. The St. Louis GM Norm tournament, unfortunately, did not produce any GM norms. Stavroula Tsolakidou, who I spotlighted last week, came the closest with 5.5/9 and a 2556 performance. The tournament winner was Ukrainian GM Pavlo Vorontsov with a rather modest winning score of 6-3. Let’s take a look at one of his wins from the event, over a very promising player from Oklahoma, 15-year-old Advait Patel. 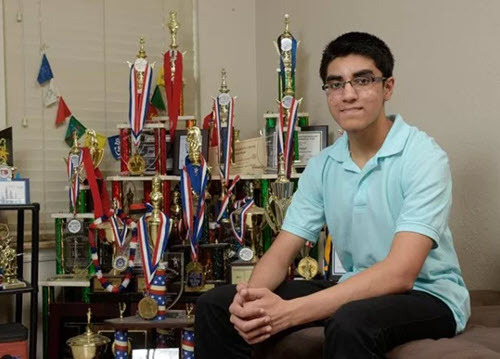 Patel is ranked number 2 under 16 in America, trailing only the celebrated grandmaster Awonder Liang. 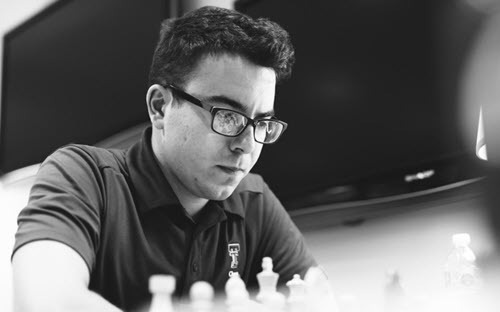 He is certainly disappointed to lose the last round—and I’m not sure if six points would have been enough for the GM norm, but he already has two, and will likely seal the deal before long. Let’s have a look at a charming miniature he won from another strong young IM Daniel Gurevich. The tournament had great parity, which is fun to watch, but not good for title norms. The same could be said for the IM norm event, which was won easily by Russian IM Sergei Matsenko, who would have had one of the higher ratings in the GM event, with a score of 7-2. The next highest score achieved was only 5-4, so no norms achieved there either.